Description: Bay of Bengal. 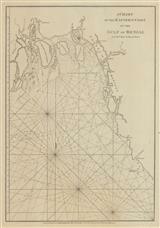 Sea chart with an inset of the river Ganges. Description: Ganges Delta. Shows Dutch Trading Station. Beautifully engraved map with elaborate cartouche. Strong impression. Description: Bay of Bengal. 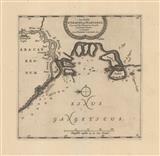 Attractive map with decorative cartouche and rhumb lines. Coloured. Description: Ganges Delta and the mouth of the Hooghly River. 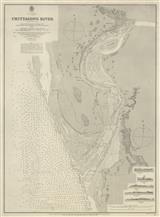 Inset showing course of the Ganges. Appeared in the 'Secret Atlas'. Includes parts of Bengal, and modern-day Bangladesh. Description: Gulf of Bengal, eastern coast. 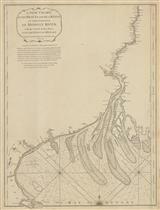 Elegant sea chart from the 'East India Pilot'. Description: Hoogly River. Braces and Sea Reefs at the entrance. Also mapping the course of the river up to the town of Hoogly. Elegant sea chart from the 'East India Pilot'. Description: Chittagong River. Bangladesh. A detailed black and white chart with extensive soundings.